A person who upholds “induction by enumeration” is one who believes that, by counting instances, limiting one's reasoning to some finite list of particulars, or in some way including all the particulars that one is reasoning about (such as saying “etc.”) he can reach an inductive conclusion that is true. Throughout this series, I’ve maintained that there are two conflicting interpretations of Aristotelian induction, and that Dr. John McCaskey has discovered a way to resolve the issue, to the detriment of one of those views. His resolution is essentially a revisionist interpretation of Aristotle’s Prior Analytics, book 2, chapter 23 (PrA 2.23); an interpretation that, if correct, will make the eight uses of the term “induction” (that is, those uses that originally posed the controversy) consistent with the other eighty-eight uses of the term that support McCaskey’s interpretation. It is the second paragraph that poses the difficulty. To understand the basis for the conventional interpretation, let’s follow McCaskey’s approach, and summarize how Aristotle is interpreted in light of this paragraph. (1) Man, horse, and mule are long-lived. (2) Man, horse, and mule are bileless. By conversion of (2): (3) Bileless animals are man, horse, and mule. By (1) and (3): (4) Bileless animals are long-lived. Therefore, he is saying that the only valid induction is a complete enumeration (“for induction is through them all [the particulars]”); that induction is ultimately a kind of deduction (a “deduction from induction” that “[deduces] one extreme to belong to the middle through the other extreme”); and that induction is reducible to a deduction, since the “inductive” argument here is really a syllogistic argument that enumerates all the particulars. This is what the conventional interpretation concludes about Aristotle’s view of induction. Now, how does McCaskey challenge this interpretation? Answer: by using the surrounding text to elucidate what Aristotle means by a “deduction from induction.” McCaskey says that an “alternative interpretation can be found by reading the chapter from the outside in rather than from the inside out.” [p. 50] I said earlier that PrA 2.23 consisted of three paragraphs; McCaskey is suggesting that we imagine that the second, substantive paragraph is missing and has to be reconstructed from the surrounding passages (the first and third paragraphs). The first paragraph states that all knowledge becomes such through the syllogistic figures presented earlier (the chapters before 23), and ends with the statement that we have belief about anything through deduction or from induction. None of this suggests a new understanding of induction is to follow. Now we ignore the second paragraph, assuming it exists but pretending that its contents are unknown, and focus on the third paragraph. It begins “This is the sort of deduction that is possible of a primary and unmiddled premise,” which indicates that the second paragraph must have been about a “deduction of an unmiddled premise.” The next sentence plainly states that there are two kinds of deductions: (1) deductions of middled premises in which the premise is the conclusion of a syllogistic argument with a middle term, and (2) deductions of unmiddled premises, in which the role played by a middle term is carried out by an induction. McCaskey decides to call the first a “deduction-from-a-middle” and the second a “deduction-from-induction,” and notes that the second paragraph must have been an example of a “deduction-from-induction,” instead of the “deduction-from-a-middle,” which had been treated substantially in earlier chapters. McCaskey argues that paragraph three is consistently about the differences between the “deduction-from-a-middle,” and the “deduction-from-induction.” Afterward, he shifts our focus back to the second paragraph, taking what we’ve learned with us. Based on the third paragraph, we expect to see an example of a “deduction-from-induction” in the second paragraph, and we are not disappointed. Again, the second paragraph begins “Induction, then--that is, a deduction from induction--is deducing one extreme to belong to the middle through the other extreme.” [My emphasis] The example given is the argument that all bileless animals are long-lived, which will be addressed in the next section. Even if the phrase “deduction from induction” doesn’t mean that induction is a form of deduction, doesn’t the example given justify the conventional interpretation, that induction is a complete enumeration that can be turned into a deduction? Here is where McCaskey suggests an alternative interpretation for PrA 2.23, specifically the second paragraph, one in which we learn how inductions become the premises for deductions. From the opening of the [second] paragraph and from what Aristotle said in the preceding, introductory paragraph we know he wants to exhibit how a deduction-from- induction ‘comes about through the figures previously mentioned,’ that is, through the syllogistic figures. His tool for doing so will be conversion, the subject of discussion in the preceding chapter and the subject Aristotle mentioned right at the beginning of this one. His subject for the chapter’s middle paragraph, then, is how conversion is used to effect a deduction-from-induction. Aristotle will first present the relevant syllogistic figure using a simple example, an example in which the conversion is justified by a method other than induction, in this case by surveying one or a few particulars or kinds of particulars. He will then expand the example by replacing a conversion justified by survey with a conversion justified by induction. He will spend the bulk of the paragraph setting up the simple example and discussing the role that conversion plays. He will execute the expansion in the paragraph’s final words. (1) All C is A. (2) All C is B. By conversion of (2): (3) All B is C.
By (1) and (3): (4) All B is A.
Aristotle lets “A” stand for “long-lived,” “B” stand for “bileless,” and “C” stand for particular long-lived animals, such as a man, horse, or mule. We are left guessing if he means one particular man, horse, or mule, or several of them, or whether he means specific men, horses, or mules, or particular kinds of long-lived animals. But what we do know is that Aristotle is not saying that men, horses, and mules are the only long-lived animals in the world: he is only using those three animals as a surveyable and illustrative list of long-lived things--a “sample” of such things, as McCaskey puts it. (1) All particular things on the list are long-lived. (2) All particular things on the list are bileless. By conversion of (2): (3) All bileless things are particular things on the list. By (1) and (3): (4) All bileless animals are long-lived. Here, we have a deduction from a surveyable list: all of the samples of particular things Aristotle introduced are both bileless and long-lived, and the conclusion is that everything bileless is long-lived, since the conclusion only extends as far as the surveyable list. This is not yet a deduction-from-induction, but Aristotle sees no difficulty in expanding it to be so. To do so, he redefines C, “But one must understand C as composed of every one of the particulars: for [a deduction-from-]induction is through them all.” [page 58 of McCaskey’s PDF] Earlier, Aristotle defined C as particular long-lived things (with man, horse, and mule as examples), but now means C to be all particular long-lived things, because a deduction-from-induction is not a deduction from a surveyed list, but through all the particulars. With this, Aristotle proceeds to the next paragraph, and his expansion of C finishes his demonstration of how a deduction-from-induction is presented in a syllogistic figure and how it is properly converted. (1) All particular long-lived things (men, horses, mules, and others) are long-lived. (2) All particular long-lived things (men, horses, mules, and others) are bileless. By conversion of (2): (3) All things bileless are particular long-lived things (men, horses, mules, and others). By (1) and (3): (4) All things bileless are long-lived. Aristotle justified the earlier conversion by surveying the particulars in his sample; he now justifies this expanded conversion by means of induction. A “deduction from induction,” then, utilizes the same syllogistic figure and is validated by the same law of conversion as the earlier deduction from a surveyed list, but the justification for the conversion itself is understanding that the universal statement is valid for all the particulars due to their essential nature. What’s important to know here is that “(4) All things bileless are long-lived.” is not the inductive generalization, but rather is the deductive conclusion. “Induction operates in the premises, not in the conclusion,” as McCaskey aptly remarks. Aristotle is not here arguing for an inductive generalization, but rather is demonstrating that once one knows the premises by induction, it is possible to then form a syllogism, a deduction from induction; the induction here does the work that a middle term does in a deduction-from-a-middle. The third paragraph said that the second was about a “deduction from induction,” in which a deductive conclusion results from an induction operating in the premises, and if read correctly (McCaskey’s interpretation), that is what the second paragraph is about. If McCaskey’s revision is correct, then PrA 2.23 is not about an induction being proved by complete enumeration, or that an induction can be changed into a deduction by assuming that men, horses, and mules are the only bileless and long-lived animals that exist. It has nothing to do with coming to an inductive conclusion whatsoever. [The passage in PrA 2.23] is about the reason and method by which inductive conclusions, once reached, can provide the premises for syllogisms. The reason they can be is that conclusions reached inductively are universal. They apply to all particulars of a kind, not just those surveyed in performing the induction. The method by which they can be is the swapping of subject and predicate by conversion. Introduction to Induction: What is Induction and Why Study It? The aim of this essay is to give a preliminary statement about what induction is, and to present reasons why we should be interested in figuring out the answer. In part 1, I explained that Aristotle is currently understood to have advocated two conflicting views on induction. I said that the interpretation of him adopting enumerative induction is the far more popular interpretation, despite the understandable confusion that results from anyone reading Prior Analytics 2.23 (PrA 2.23). I also said that John McCaskey has found an approach which does away with the popular “enumerative inductivist” interpretation. In addition, it gives even more support to the conclusion that Aristotle, when talking about induction, is almost always referring to the induction presented in his Topics and Posterior Analytics 2.19. Lastly, I said that this approach also presents to us how inductions become the general premises for deductions (syllogisms). Let us now turn to this approach. Returning to something I said in part 1, the conventional interpretation of Aristotelian induction is that it is validated by complete enumeration of cases, that it is just a kind of deduction, and that its applicability doesn’t extend beyond the particulars which originally formed the induction. Are these claims really substantiated by all that Aristotle has to say on induction? McCaskey would say "no," and proceeds to show us why through the majority of his dissertation’s first chapter and in his essay "Freeing Aristotelian Epagōgē from Prior Analytics II 23." These four claims about induction are repeated multiple times throughout Aristotle’s works, and make it highly doubtful that he would suddenly adopt a view of induction that contradicts one or more of these claims, as would be the case if the conventional understanding of PrA 2.23 is correct. Indeed, McCaskey uses this survey of “induction” to not only elucidate the meaning of the concept “induction,” but also to point out how erroneous the conventional interpretation must be. Two of his counter-arguments to the conventional view should suffice before I move on to his revisionary interpretation of PrA 2.23. (1) McCaskey notes that in the vast majority of Aristotle’s inductive arguments, the particulars subsumed in the generalizations are countless and cannot be enumerated successfully before making the generalization, such as his argument that what makes someone the “best” in a profession is their knowledge (in the Topics) or his argument about the nature of goodness I mentioned in part 1. Aristotle never presents (and defends) a completely enumerated list of cases and forms an inductive generalization from them, nor states that an induction can only apply to the cases enumerated and not, for instance, presently unobserved cases. Here, there should have been a perfect case for a defense of enumerative induction, which Aristotle supposedly supports according to the conventional interpretation, and yet Aristotle flat out denies that something can truly be known about triangles by considering each individual triangle--the very method that an enumerative inductivist would be forced to use by his own doctrine. Here, he suggests that truly knowing something about triangles has something to do with identifying the essence of triangles, rather than completely enumerating cases. This gives support to the other interpretation of induction, because it is closely related to the inductive arguments in Aristotle’s Metaphysics, Physics, and Eudemian Ethics that strongly suggest that induction is a tool for identifying the essence or nature of something. McCaskey has several more counter-arguments in his arsenal, but none more powerful than his reinterpretation of PrA 2.23, the key passage cited in support of the enumerative induction interpretation. ‘Prove it,’ his nephew Callisthenes had said. Aristotle was glad Callisthenes had gone off with Alexander. He was not sorry to learn he’d been killed. Obviously, Aristotle saw, it is impossible to prove that anything is obviously true. In my first post, I said that I had two misgivings about whether a theory or method of induction could be successfully presented; the point of this post is to discuss one of these misgivings. The issue is: does induction need a justification? A “justification” is a conclusive reason (or a number of such reasons) for believing that something is proper or warranted. So, if there are conclusive reasons for believing that induction (as a cognitive process employed by us) is proper/warranted, does the process of induction need such reasons? Presently, I don’t think that induction needs a justification, and will now explain why. The PNC has several features, among them is that it states that two opposite assertions cannot be true at the same time: that this is impossible. (See Metaphysics Book 4, Chapter 6, 1011b13-20) For instance, one can state that “this bird is looking at me,” and alternatively state that “this bird is not looking at me,” but cannot state both assertions as happening at the same time in some way as to make it true. The combination of both claims would be ascribing a predicate (“looking at a particular person, that is, ‘me’”) and ascribing the very opposite of that predicate (“not looking at me”) to the same subject (the bird) at the same time, which is no different from ascribing nothing at all to a subject; cognitively, it is no different from refraining from making any assertion at all. Someone, perhaps a skeptic of knowledge or someone unacquainted with Aristotle’s metaphysics or theory of logic, could ask the question: what justifies the PNC? Why is it the case that two contradictory assertions cannot be true at the same time? The attempt to then justify why this is would lead to predicating certain features as belonging to the PNC, like some noteworthy point about “contradictions,” or some fact about the human mind or reason. At the same time, however, in the very attempt of asserting these predicates of the PNC, the person is utilizing the PNC (perhaps unknowingly): in using these predicates to justify the PNC, he does not intend to assert that these predicates are true of the PNC and do not belong to the PNC at the same and in the same respect. Aristotle regarded the PNC as axiomatic (as a starting point) for our very thoughts, as inescapable for anyone who chooses to think or use reasoning; as he says it, it is a principle which “is necessary for anyone to have who knows any of the things that are.” (Metaphysics Book 4, Chapter 3, 1005b15) Accordingly, he held that we can’t even engage in an argument without first accepting and relying on the PNC (if only tacitly if not explicitly). This reasoning, I’d like to point out, would apply to our purported justification for the PNC, since it, too, would be an argument. A justification of perception would amount to a defense of our particular sense organs and sense-activities like seeing, hearing, and feeling. While someone could presumably try this, the resulting defense would contain an underlying fraud: it would assume the validity of the senses, even as it tries to justify them. The defense would argue that we should form our ideas of “touch,” “smell,” etc., from particular cases of touching and smelling, but the point at issue is whether we “touch” or “smell” anything at all. The reason why a justification would be needed is that, for whatever reason, someone is unsure of whether they even have these senses. What the skeptical person needs is not a conceptual argument, which would be circular reasoning as I explained earlier, but perception. Nothing shows us that our senses are valid, besides the fact that they allow us to perceive; in losing senses, we also lose our ability to perceive, as people with normally functioning eyes discover when their eyes are damaged (through disease or some accident) and they become blind. Now, let’s return to induction. To answer the question proposed by this section’s title, we need to turn once again to Aristotle. It was Aristotle who once aptly remarked that there are principally two ways of coming to have convictions (beliefs), two ways of reasoning or of argumentation: induction and deduction. If we were to suppose that induction required a justification, then the only two ways to provide such would be through inductive or deductive arguments. On the other hand, defending induction by means of a deductive argument is impermissible because deductions can only justify non-ampliative inferences. Ampliation is our mental power of extending knowledge we already have to new cases, beyond the ones we originally used to gain that knowledge, and often leads to our possessing universal knowledge about some subject. A non-ampliative inference is one that doesn’t extend our knowledge, so to speak, but merely applies it to a new case or makes explicit something that was implicit in our argument’s premises (or thoughts). An induction is principally an ampliative inference, and the supposed need to justify induction stems from this ampliative character; what justifies our purported knowledge of the future by means of our past knowledge, or our knowledge of the whole by means of our knowledge of some parts? What is the process of ampliation going on here, and how does it allow us to properly reason from observed cases to unobserved cases, from the past to the future, from particular areas of the world to the entirety of the universe? There is no general account of generalizing or of a universal kind of thinking from which one could produce a deductive argument about ampliation and induction--most likely because an account of induction would have to explain the role of “generalization,” “universal thinking,” and “ampliation” before deductions could be produced, and so would be just as questionable as induction, in this context. So then what are we supposed to conclude? I don’t think this reveals any problems with induction, as if the lack of justification reveals some hidden, underlying arbitrariness at the heart of inductive thinking. I’ve reached the conclusion that this isn’t the kind of thing that can be justified. To make the attempt results in either failing miserably, or in assuming that which one is attempting to prove, which amounts to the same thing as failing. That said, I obviously don’t think that any and all inductions are therefore valid as a result, just as Aristotle’s thinking that there were “first principles” (starting points) of deductions didn’t lead him to conclude that all deductions were valid. There were proper and improper forms of deductions, and of using the syllogistic forms of demonstrations, he held, and carried out the Herculean task of explicating proper deductive thinking. There are proper and improper forms of inductions, of reaching generalizations, and of conducting the process of ampliation and abstraction, I hold. What we need is not a justification for induction, but a full-scale explication of what exactly induction is. 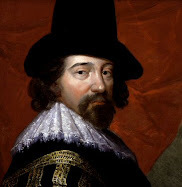 Francis Bacon (1561-1626) was the first modern philosopher of science, and was instrumental in the development of what we now call the “scientific method.” Here are the essentials of his method of induction, which unfortunately was never completed. Given what you and [Edwin] Locke [in this paper] have said about induction, why does it have such a bad reputation? I think some of its bad reputation is earned: a very small part, that is. Let me explain. Most people understand induction to be "by enumeration." Something like: "All the enumerated cases of swans I've observed are white, therefore all of them are white," or "the sun has always risen, therefore it will rise tomorrow (and the next day, etc.)." Philosopher Bertrand Russell gives another example, through parable, of "induction by enumeration" in his book The History of Western Philosophy, page 543. The parable begins: A census officer is questioning homeowners in a village, all of whom seemed to have the same name, William Williams. Finally, the officer decides that every homeowner in the village is named William Williams (an enumerative induction), records the names, and takes a holiday. But he was mistaken: there was one man named John Jones who owned a home there, but the officer had missed him. This means that the induction is faulty, and illustrates the problem--that inductions by enumeration are never certain; one counter-example can ruin even the strongest of inductive generalizations. Bacon summarizes why most philosophers (in my opinion) denigrate induction, and why it has a bad reputation. Since what he points out about enumerative induction is true, it is my reason for thinking some of induction's bad reputation is earned. While enumerating cases can be instructive in forming ideas, noting similarities and differences, and in figuring out how rare or widespread a certain phenomena may be (say, meteoroid impacts), I think it's a poor candidate for valid inductive thinking. Induction is the foundational reasoning activity, and is built upon sense-perception. More specifically, induction is (following Socrates's practice) reasoning from particular cases or individuals to general or universal knowledge. His view was that one groups entities according to their perceived similarities and identifies their essential characteristics, the essence of a kind ... [t]his included the formulation of definitions based on genus and differentia [a genus--integrating the concept into a wider category—and a differentia—differentiating the concept from other existents in that genus, namely, man is the rational animal—meaning he is the animal who has the capacity to reason]. Lastly, as I noted earlier, Aristotle believed that induction was the basic or founding rational activity; the other main reasoning process, deductive thinking, was held to be a product of inductive thinking. Induction was thus logically prior to deduction, as it supplied the premises from which one could deduce. On the Soul (Latin: De Anima), Book II, Chapters 6-12, and Book III, chapter 3, 427b27-428a18. In the latter chapter, Aristotle even notes: "for perception of the special objects of sense [like "color" for the sense of sight] is always free from error, and is found in all animals..." (427b11-13) Also, his biological treatises, such as History of Animals (Historia Animalium) and Parts of Animals (De Partibus Animalium), are filled with evidence that he affirmed sense-perception as a means of knowing reality. Rhetoric (Ars Rhetorica), Book II, chapter 20, 1939a25-27. Topics (Topica), Book I, chapter 12. Posterior Analytics (Analytica Posteriora), Book II, chapter 19, 100b1-5. Posterior Analytics, Book 2, chapter 19, 100b3-5, when compared with Book I, chapter 3, 72b23-29. P.S. Chapter 1 of McCaskey's dissertation goes in-depth into Aristotle's conception of induction, so my summary here may be expanded in the future if I learn of anything significant in this different account. In short, Aristotle was neither confounded by induction nor ignorant as to what its practice consisted of. On the contrary, readers of Aristotle are told in his work Topics that "[w]hat sort of thing induction is, is obvious." One day, I would like to have that level of confidence in my understanding of induction, even if it will probably differ from that of Aristotle's. In fact, we should all strive to achieve his level of understanding. My first suggestion then for induction is to gain some basic knowledge of it from everyday life, and use this knowledge to become more familiar with its basic method, to make it more obvious. Taking an alternative approach, such as immersing oneself in the heated philosophical controversies over the issues of induction, might leave one bewildered by--and unprepared for--the many variants of the method that now exist. To conclude, I suppose I'll give a rough definition of what induction basically is, the very one that Aristotle thought was obvious: a kind of reasoning that moves from particular cases or instances to general or universal knowledge about those kind of particulars. Next, I offer what I think Aristotle says on induction. I suppose introductions are in order. I'm Roderick Fitts, and this is my blog, Inductive Quest. I'm an Airman First Class (E-3) in the U.S. Air Force, and before that I attended (and dropped out of) the University of Michigan. I was formerly a philosophy major and am still very interested in the field; in fact, philosophy is my main motivation for creating this blog. I consider myself an Objectivist, meaning that I understand and agree with the principles articulated in Ayn Rand's philosophy. 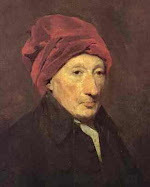 My other philosophical influences are Aristotle, Francis Bacon, and John Locke. I've studied the philosophy for about 3 years now, and I'm a sophomore student of the Objectivist Academic Center (currently on hiatus). The OAC has been a great place to enhance my understanding of the philosophy, and I highly recommend it for others who would like to learn about it (and other philosophies) from highly trained professors. I named my blog "Inductive Quest" because I'm determined to understand induction, both its proper and improper forms, as much as possible--even to the point of developing my own theory. I have two misgivings about whether or not a theory of induction can successfully be presented, which I plan to discuss sometime in a future post. For now, I want to know the features of induction. This has led me to read a number of philosophers in ways I haven't done previously, and I think most of my posts will be my reflections on what I've learned. Also, expect posts pertaining to the philosophy of Objectivism, since I'm still learning about the philosophy (though I do consider myself somewhat advanced) and will want to discuss some elements of it every once in a while. I'll also write about the philosophy because understanding it regularly involves implementing inductive thinking; though I haven't listened to it yet, this seems to be the main point of Dr. Leonard Peikoff's "Objectivism Through Induction" series of lectures. Lastly, I'll probably post anything I have in mind about rationalism and empiricism, and other topics in epistemology, as I've been more interested in that branch of philosophy than any other field. I hope you, the reader, enjoy!